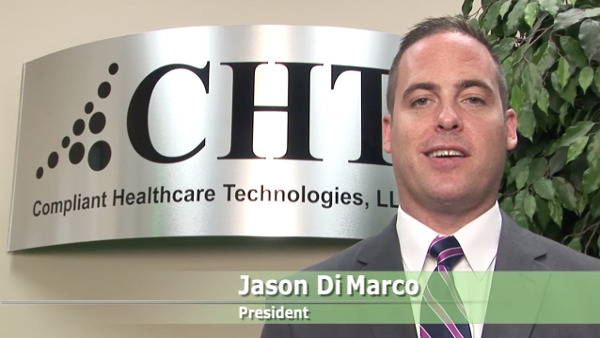 Our proprietary CHx program is the combination of certified inspections, data collection and state of the art software that puts you in control of your medical piped gas systems from source to patient. 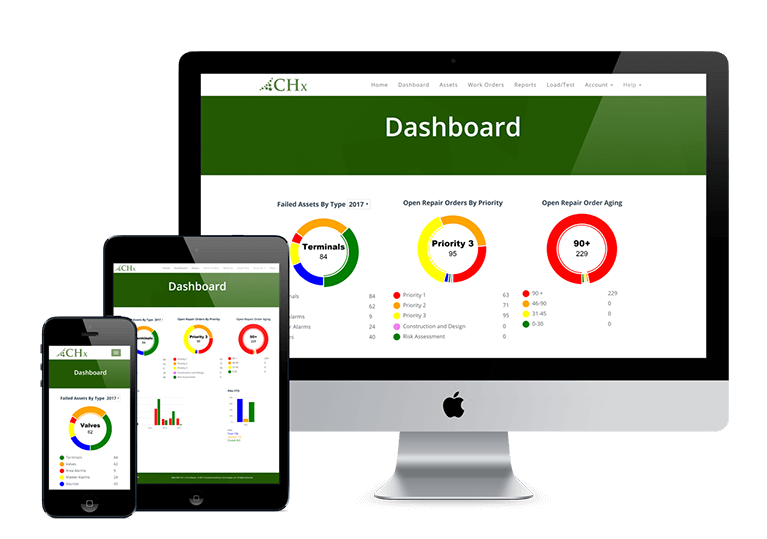 Using CHx gives you confidence that CHT has your back in the effort to keep systems working up to standards. With CHx you'll eliminate the frustration and time spent sorting through paper records for missing reports. Plus, you'll have access to every component at your finger tips. Regular monitoring is critical. Consider that even seasonal changes with different weather and fluctuating temperatures change HVAC system settings. This can have consequences on the energy efficiency of your facility’s systems, as well as their safe operation. Maintain the health of your employees with consistent environmental monitoring that measures and documents room pressures, air exchanges and long term exposure to chemical hazards. Optimum vacuum pressure boosts the productivity of your surgical and treatment staff. By assuring your clinicians can spend their valuable time and effort operating, you protect the patient with less open time and the clinicians have less distraction and better turnaround time in the OR. National statistics say the average OR minute costs $72 – yours could be higher. Our Vac wash service support the best possible flow rates for your system. Routine inspections, regular maintenance and vac wash services should be carried out to ensure your surgical equipment is working properly. 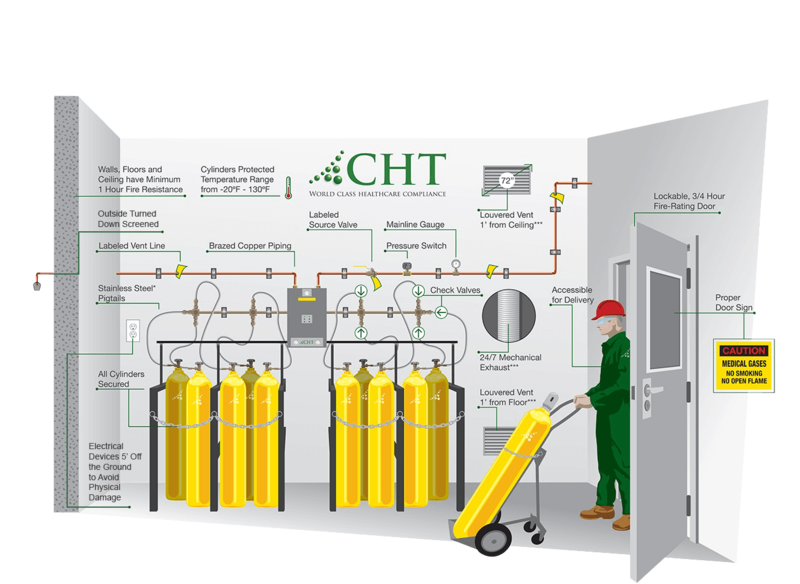 Let CHT turnkey your next medical gas installation or remodel project. You have the comfort of “One Source Responsibility” to handle all of your medical gas needs. CHT associated licensed plumbers, ASSE credentialed installers and project managers can take away the headache of finding and scheduling multiple vendors to complete medical gas projects. CHT has more construction verifiers than any other company in the country. Medical gas systems are our primary business, so you can rest assured it will be done right the first time. We guarantee our work will pass any third party verification. The software puts you in control of your medical piped gas system. It is the premier MedGas management system from source to patient. 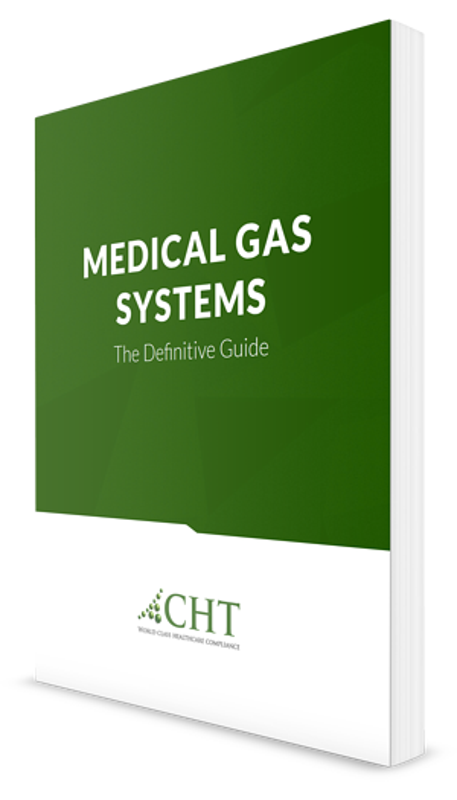 A leak or breakdown in your medical gas system can be a hazardous, life threatening problem. The best approach is to have a comprehensive MedGas preventative maintenance program in place to identify and avert these problems as soon as they arise. A combination of certified inspections, data collection and state of the art software that puts you in control of your medical piped gas systems from source to patient. First and foremost, your inspectors are rock stars. They were polite, experts in their field, and they communicated very well. Most importantly, they came into a new facility, and they got the job done without much need of my help. I cannot stress how important this is to me. We are currently in a state of exponential growth, and our time is very limited to what we can dedicate on projects anymore. I admit, I was highly skeptical on what kind of service I was going to encounter from CHT. My last med gas vendor really let me down on numerous occasions. However, CHT performed above and beyond anything I could imagine. I look forward to working with your organization for many years to come. Kudos to you and your employees. Please let them know, their hard work did not go unnoticed, and they are appreciated. Our certified staff can come to your facility to make detailed inspections and timely repairs with a fast turn around time that will help you pass Joint Commission and CMS. When irregularities or deficiencies are identified CHT can close the loop providing ASSE certified technicians to replace and repair outlets, pumps, lines and alarms. I’m very pleased with the level of professionalism displayed by the staff; they are all excellent representatives of CHT. In dealing with these critical gases, there are specific questions and materials to be used for the safety of your patients and healthcare facility before installation.